You can change your coach settings so that clients can buy half-hour phone calls (or packages of 3 or 5 phone calls) with you for consultation. You'll need to mark these calls as complete to make sure the revenue appears on your payment report (see below for details on how to do that). 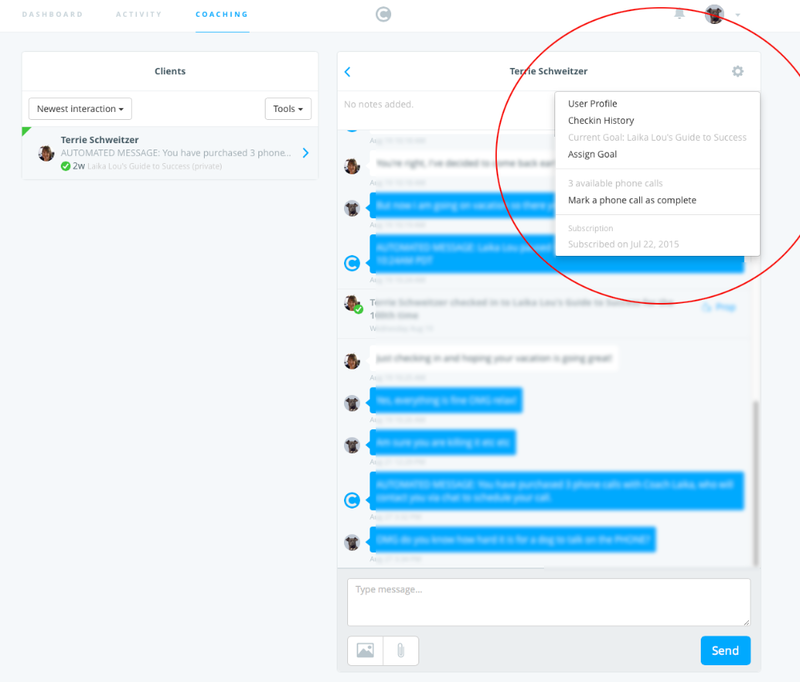 When a client purchases a phone call, you'll see them in your chat interface. (They'll already be there if they're a chat client, too.) Use the chat window to arrange the details with the client, including date and time for the call, system (phone, Skype, video chat, etc.). Here's what it looks like to the coach. To get revenue credit for a phone call, you need to complete it and then mark it complete. 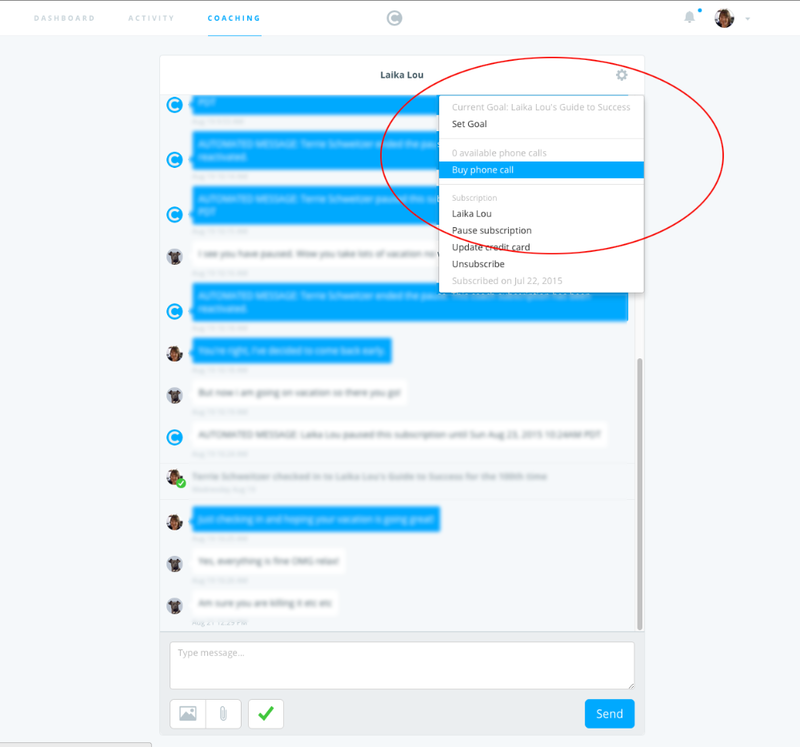 In the chat window with the client, click on the gear icon at upper right, and click "Mark a phone call as complete."